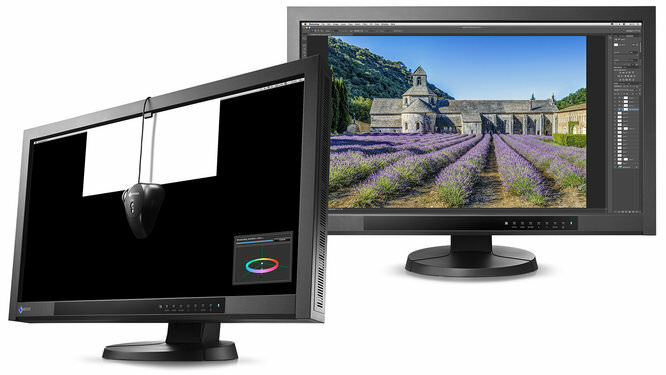 The brand new EIZO ColorEdge CX271 sits at the top of EIZO's mid-range of ColorEdge monitors. It sports a 27” LED backlit IPS display and features a built in colour correction device that will periodically check that the monitor is sufficiently calibrated and apply adjustments as required. Maximum brightness of the display is 300cd/m2 with a contrast ratio of 1000:1. Video inputs include HDMI, 29 pin DVI-D and Displayport, which supports continuous 10bit colour reproduction for smoother tones. Response time is 6ms grey-to-grey, which should be good for video work, as anything below 8ms is considered good by today's standards. As is the case with Eizo's other ColorEdge displays, colour reproduction is this monitor's strong suit with it being able to reproduce 99% of the AdobeRGB colour space and all of sRGB. The monitor is supported by a nifty height adjustable stand, which easily accommodates the monitor in both landscape and portrait orientation and makes finding a comfortable viewing position very easy. The monitor features brightness stabilisation and a digital uniformity equalizer which help to ensure colour and brightness are consistent across the whole screen as well as a fast warm up time of only seven seconds. Built-In Self Correction Sensor – Once calibration has been performed with an external colorimeter, it is possible to automatically maintain calibration with the built-in correction sensor that is housed within the monitor's top bezel and pops down onto the screen when checking the calibration. A period for subsequent checking of the calibration can be set in the supplied ColorNavigator software, or in the screen's on screen menu, so that you can be sure that the colour is maintained whenever you come to use the screen. EIZO-Developed ASIC at the Core – As is the case with Eizo's other Coloredge models, this display is equipped with an ASIC (application specific integrated circuit) specifically developed to aid high-precision colour processing and the production of smooth colour tones. 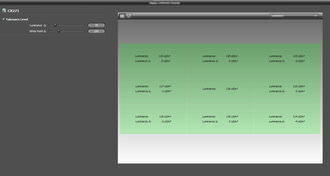 Individually Adjusted at the Factory - The gamma level for each ColorEdge monitor is adjusted at the factory. This is accomplished by measuring the R, G, and B gamma values from 0 – 255, then using the monitor’s 16-bit look-up table (LUT) to select the 256 most appropriate tones to achieve the desired value. This helps to ensure that the monitor performs within spec from the first use. Multiple Inputs - DisplayPort, DVI-D and HDMI inputs are included for connecting to various types of graphics boards. The HDMI input also offers direct connection with digital cameras. Two USB upstream ports allow two computers to be connected at once so it’s not necessary to reconnect the USB cable when using the ColorNavigator software and switching between the two computers. When using the Displayport connection, simultaneous 10-bit colour display is possible, via a 16 look-up table, which means the display is capable of displaying more than one billion colours at once. This is 64 times as many colours as is possible using a standard 8-bit display, which should result in smoother colour gradations. The CX271 sports a no-nonsense, business-like design, with a bold, angular black bezel framing the hugh 27” panel. A weight of 12.8kg will require a sturdy desk, but the sturdy stand has no problem supporting the weight, whilst offering ease of adjustment for height, tilt and orientation. It's probably best to disconnect any cables before rotating the screen between portrait and landscape, but at least the connections are easily accessible. The power light is blue, and its brightness can be adjusted to suit your working conditions. The rear of the stand has a built-in cable tidy to help direct cables neatly once everything is set up to your requirements. A cooling fan within the monitor helps to maintain temperatures to improve the consistency of the display. Although the fan can be heard in a quiet room, it isn't overly intrusive being quieter than most laptop cooling fans. When the display is turned off via the standby button on the front bezel, the CX271 consumes less than 0.5 watts of electricity, which should satisfy those with environmental concerns, or those simply keeping an eye on their energy bills. You can quickly change between calibration profiles using the mode button, this allows you to switch between a number of built in modes, as well as your own calibration settings, the modes are: CAL-1, CAL-2, CAL-3, Custom, Paper, Adobe RGB and sRGB. This allows you to quickly visualise how different colour settings may affect the appearance of your work. The ports available are 29 pin DVI-D, HDMI and Displayport as well as dual upstream USB and a USB hub with two sockets. There is no VGA input and the DVI-D connection will only accept a digital signal, so owners of computers using older graphics hardware (or many Windows/Linux compatible laptops) may need to upgrade their equipment to use this display. A DVI-D and Mini Displayport cable are provided in the box. It's recommended to use the supplied cable if connecting via DVI interface, as inferior cables may not support the high resolution of this display. The Mini Displayport cable is useful for Macbook owners, but many graphics cards and PC laptops use the full-size Displayport connection. In these cases it may be necessary to purchase a separate cable. When calibration is performed using an external colorimeter, using the supplied ColorNavigator software, an option can be selected to enabled self-correction. If this is enabled, the sensor housed in the top bezel pops down during the calibration process to record calibration settings. It then uses this reading to apply future maintenance to the calibration automatically. Although it is a shame that the built in sensor cannot be used for the initial calibration process, it is still an excellent feature, which ensures the screen is correctly calibrated over a period of time. A feature like this will save many man hours wasted calibrating displays in graphics studios with multiple displays, and will even save substantial amounts of time for a lone photographer, who demands critical colour performance. The resolution of 2560x1440 provides oodles of working space, whilst text is still comfortable to read due to the large size of the screen. The only drawback I can see with such a high screen resolution is that HD video is normally of a lower resolution, so it can appear a little fuzzy when stretched over the full size of the screen. All this extra workspace makes checking focus on images a pleasure, and provides more than enough space for working with several programs on at the same time. Viewing angles are 178 degrees for both vertical and horizontal, which is the same as the slightly more expensive NEC Spectraview 272 27” display. Although the viewing angle is typical for a high-end display using IPS panel technology, those who are used to the older TN panel technology will be amazed by the difference this makes. 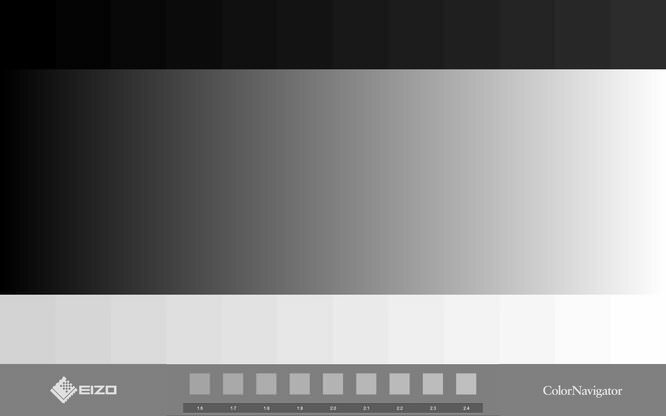 Colour and brightness remains consistent, even when viewing the screen from an above or below. To the eye, the screen appears remarkably consistent in terms of brightness and colour across its surface, and there is no flicker, even under fluorescent lighting. Video quality is excellent with solid blacks and quick refresh rates even with rapidly changing action, with no visible ghosting in transitions from light to dark. There is also no discernible backlight bleed which is common on budget orientated monitors using IPS panel technology. 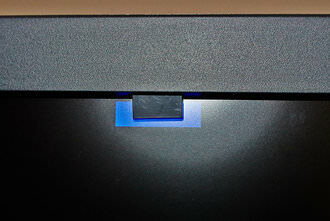 The matt screen also helps to ensure reflections on its surface are kept to a minimum. Black and White / Greyscales - The EIZO CX271 delivers extremely impressive blacks and greyscale, with no visible colour hue in the greyscale, or grey patches. Colour performance: We set the monitor to 120 cd/m2 brightness, with a colour temperature of 6500K and a gamma of 2.2, and measured the monitors ability to match this using an i1 Display Pro colorimeter with the supplied ColorNavigator software and got these results. The contrast ratio was measured as 875:1, the colour temperature was 6502K, and brightness is also almost bang on the requested 120 cd/m2 requested value with 119.9cd/m2 achieved. Colour performance was recorded as an Average DeltaE (ab): 1.12, with a maximum of 6.36 - the lower the number the better. It's possible to save the results of performance as a PDF document, so that you have a record of how the monitor is performing, which could be particularly important for colour critical work, or to show that your computer and monitor is set up correctly. We also used the i1 Display Pro to measure colour, luminance, and white point performance. Using the i1 Display Pro, 6553K was the Colour temperature achieved, Luminance was bang on 100 cd/m2 as requested and the native contrast ratio was measured as 547:1. 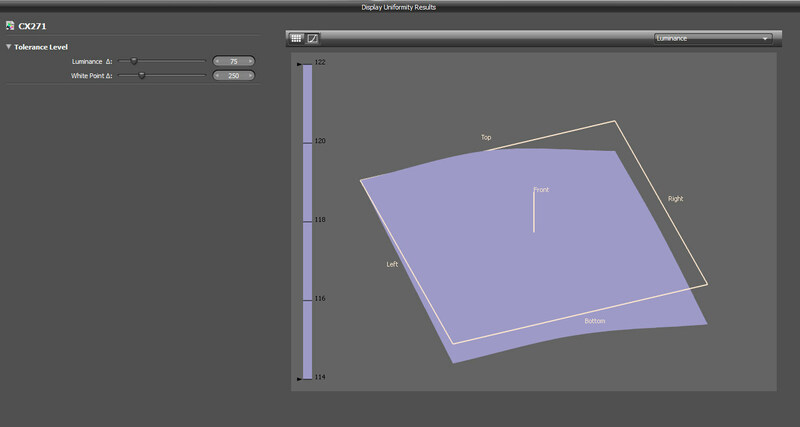 When a colour profile was setup the corrections reduced colour saturation compared to the profile created by ColorNavigator. Average Delta E was 0.65, the maximum deviation was 1.31 (the lower the number, the better). These results are very impressive. Digital Uniformity Equalizer does a sterling job with the brightness across the screen being consistent, with the worst result a maximum of 3.3% deviation in brightness, in one corner, with most of the screen giving better uniformity. Colour temperature across the screen was also very good, with the worst results a 0.7% deviation in colour temperature in the top centre, with most of the screen giving better performance. The self-correction sensor pops out from the top bezel. 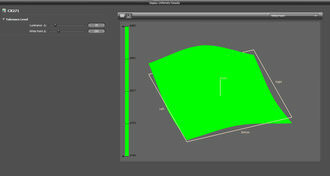 You can set your own interval for maintaining calibration and the monitor will automatically keep calibration maintained. The EIZO CX271 is available for around £1190 including VAT with a 5 year warranty. There are similarly priced monitors available that promise similar colour performance but monitors providing like-for like specification tend to be a little more expensive. For example, the NEC Spectraview 272 also provides 99% coverage of Adobe RGB and built in hardware calibration, but only a three year guarantee and it costs around £1420. Taking this into account, the EIZO CX271 represents decent value for money. The ColorEdge CX271 sports incredible colour accuracy, uniformity, adjust ability and resolution. Although the price may seem high at first, for your money, you get a monitor that provides ample working space for running several windows simultaneously, built in maintenance of calibration and a comprehensive five year warranty. This display is also ergonomically designed, with the sturdy stand providing a wide range of adjustments, including the ability to swivel the screen into portrait orientation easily. 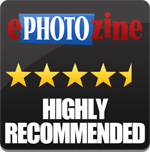 Colour performance, and the accuracy of black and white values, are excellent, being more than good enough to satisfy even the most discerning graphic artists and photographers with 99% of Adobe RGB being covered. The time saved by the built in colour correction device will surely pay for itself over time, as calibration can be maintained automatically, with no input from the user. A feature like this, at this price point is a blessing for graphics studios, or for anyone whose time is as precious as colour accuracy is. The EIZO ColorEdge CX271 sports incredible colour accuracy, with built in hardware correction and a 5 year warranty. Built-in correction device can only be used to maintain calibration so a separate colorimeter is required. Thanls for the very useful reviews. You're welcome. As far as the value for money score is concerned, I couldn't possibly say how the Asus monitor would score without using one, as things like build quality/usability for the price are taken into account as well as on-paper features. On paper, the Asus is actually 60% of the price, but only has a three-year warranty and no built in calibrator, so everything else being equal, it would probably score higher in this respect. However, I still feel the score for this monitor is justified. As far as the value for money score is concerned, I couldn't possibly say how the Asus monitor would score without using one, as things like build quality/usability for the price are taken into account as well as on-paper features. On paper, the Asus is actually 60% of the price, but only has a three-year warranty and no built in calibrator, so everything else being equal, it would probably score higher in this respect. However, I still feel the score for this monitor is justified. To whoever posted the review. I own the CX 271 for three days now, and I'm heavily dissapointed - LCD itself is "great", but these two things are killing me. 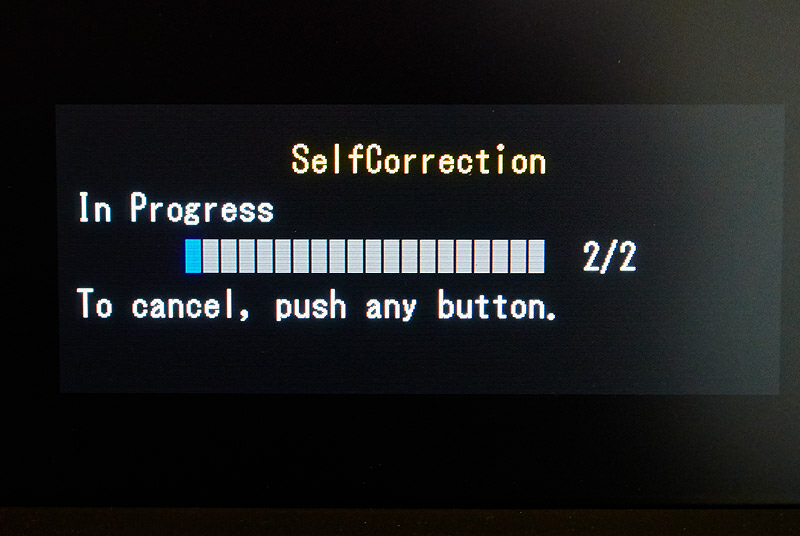 - LCD cannot remember the mode I chose, it always picks the one, that's proprietary for the connector - ! even when I set that mode to skip! - bad bad EiZO, as ex owner of CX 270, it worked there - overdrive is a disaster http://uplink.sk/eizo/overdrive-tmavy-vs-svetly-full.jpg left picture is overdrive "on", look at that overshooting of colors, terrible, right is overdrive off, it's okay, - this is just funny, not a bug. They used same chassis, even though they could've make it 4 cm thinner: http://uplink.sk/eizo/haluza.jpg it's a photo from the side of the vents, the HUGE compartment is an "ex place" of CCFL tubes, a bit laughable, but whatever, no one cares about design, when it comes to EiZO, not even me, Just FYi for those who are about to buy this "flagship" of EiZO, be careful Bryan P.S. : For the reviwer. It's quite good to mention it's AH-iPS panel, state of art one. And also, it's not only LED backlightning, but RGB - LED backlightning, which also makes the difference, why the Adobe Gamut Color workspace went up the 3%. Cheers! To whoever posted the review. I own the CX 271 for three days now, and I'm heavily dissapointed - LCD itself is "great", but these two things are killing me. P.S. : For the reviwer. It's quite good to mention it's AH-iPS panel, state of art one. And also, it's not only LED backlightning, but RGB - LED backlightning, which also makes the difference, why the Adobe Gamut Color workspace went up the 3%.